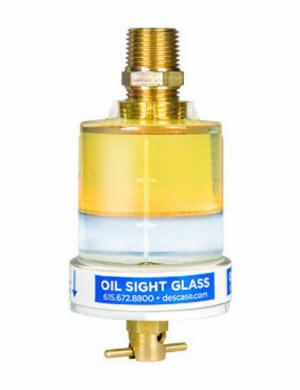 The Oil Sight Glass Level Monitor (OSGL) allows you to view oil color and clarity while monitoring the level of the oil in the reservoir. 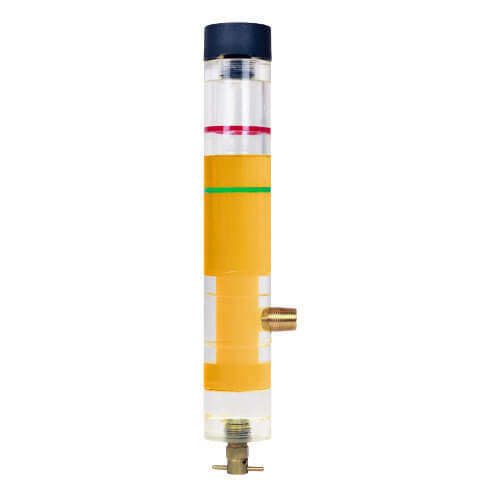 Choose a length from 3″ to 24″ corresponding to the distance from your equipment’s oil reservoir access port to the maximum height the oil will reach. View water accumulation and drain it off with the drain valve. 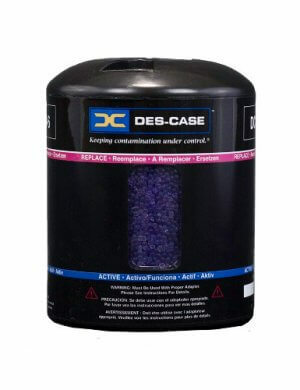 A dual port version is available with a second 3/8″ NPT port to allow installation of a sampling tube. Contact us to include an optional magnetic drain valve to capture ferrous particles for analysis.